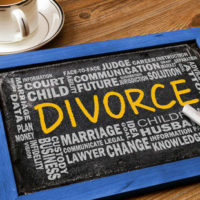 When your marriage dissolves, you are still entitled to a number of different benefits, depending on a number of factors. We recently wrote about one benefit you must change in order for your former spouse to not inherit when you die, which was changing the beneficiary of your life insurance policy. Another benefit that a former spouse may be entitled to, depending on the length of marriage, their current marital status, as well as you and your former spouse’s age, is Social Security benefits. The maximum amount of Social Security that an individual can receive of what their former spouse would have gotten upon their full retirement age is 50 percent. This means that each spouse is entitled to half of their former spouse’s Social Security benefits, however, that number decreases if taken before you reach retirement age. Couples must be married for at least one year before they become eligible to receive spousal benefits of Social Security. Depending on when your former spouse was born, you may be eligible to receive a larger amount. For instance, if you were born after January 2, 1954, the Social Security Administration will give you the larger amount of your benefits and if you also wait until the full age of retirement, you can file a restricted application, which will allow you to continue letting your Social Security benefits accrue while taking your former spouse’s, until age 70. If you get remarried, your rights to your ex-spouse’s Social Security benefits will be revoked. The Social Security Administration monitors this and will stop benefits immediately. However, if your former spouse is deceased and you remarried after the age of 60 years old, you can collect your portion of your former spouse’s Social Security benefits. Additionally, in order to file for your former spouse’s Social Security benefits, you do not currently have to be taking your own benefits, but you must have reached the age of eligibility. There is one instance in which you can continue receiving Social Security benefits although you have remarried. If you and your spouse were married for ten years or more, your former spouse is now over the age of 62 years old and currently unmarried, and you are not eligible for an equal or higher benefit on your own record, you can qualify for benefits on your record. Do You Have Questions about your Former Spouse’s Rights? Even when a marriage is over, your former spouse may still be entitled to some of your benefits. If you or someone you know has a question about what benefits they are entitled to or how much their former spouse may be entitled to, we can help walk them through this process. Reach out to the Houston lawyers at Lindamood & Robinson, P.C. today for assistance with your case.